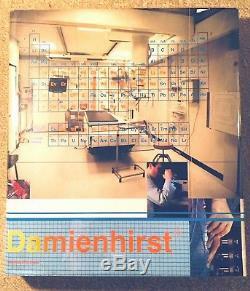 Signed and presented, first edition Damien Hirst book. I Want to Spend the Rest of My Life Everywhere, with Everyone, One to One, Always, Forever, Now. Damien Hirst signed it and wrote a VERY personal dedication, ending "love". 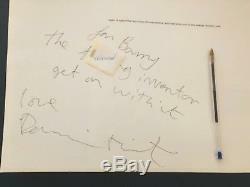 "For Barry, the ing inventor, get on with it, love Damien Hirst". We've been advised this dedication is to Barry Adamson, which makes sense as he's a creative inventor artist - but there's nothing to prove it is.. Condition is not mint, it's been read and enjoyed, but remains in good condition. Some of the interactive features of the book need reglueing, it's a known issue that the glue dries and needs reattaching art? 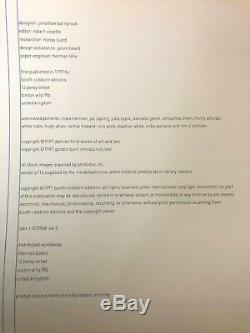 The item "Damien Hirst SIGNED personal message 1st edition book I Want to Spend the rest" is in sale since Thursday, February 22, 2018. This item is in the category "Books, Comics & Magazines\Non-Fiction\The Arts".jupiter" and is located in Folkestone. This item can be shipped to United Kingdom.